This quintessentially girly color has been on my brain a lot lately. I've been eyeing pink coats and pinning blush toned bouquets like crazy. 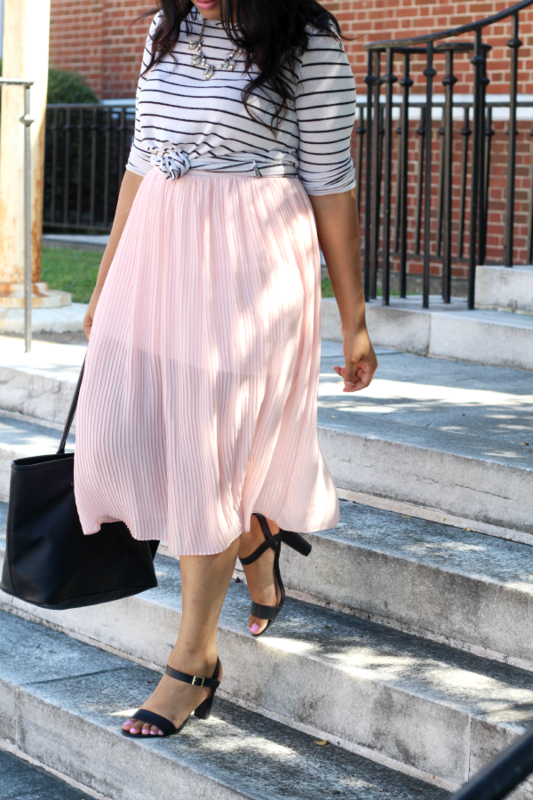 Until I make my next major pink purchase, I will be twirling in this skirt from Fiore Boutique. Paired with a light sweater, it's perfect for the transitional season we're having in the south. Who knew a soft, spring pink would be acceptable during fall? I'd like to note that it is especially acceptable during October for Breast Cancer Awareness Month. Since my readers are practically my girlfriends, I just want to remind you: don't forget to check up on your ta-tas! And also, wear as much pink as you can stomach. 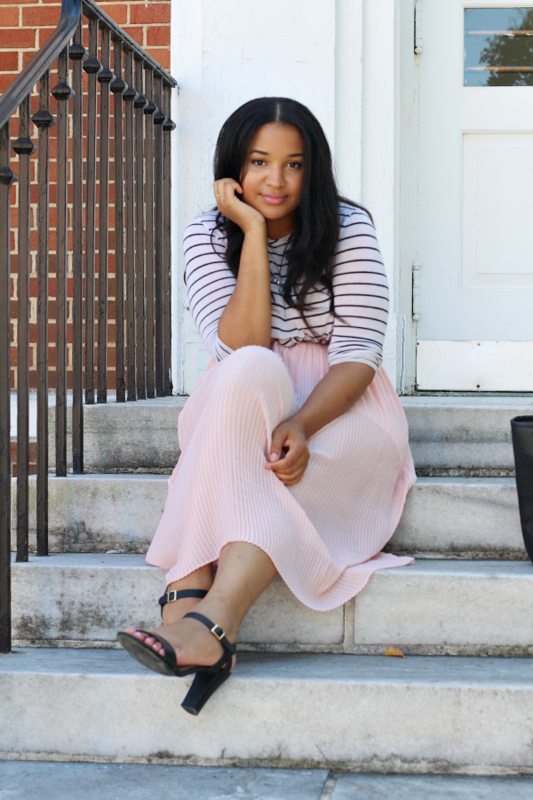 Use code LULU10 to get 10% off the "Pretty in Pleats Skirt" from Fiore Boutique. c/o Fiore Boutique - all opinions are my own. Pink and stripes is the best combo :) You look so pretty! Love this outfit! 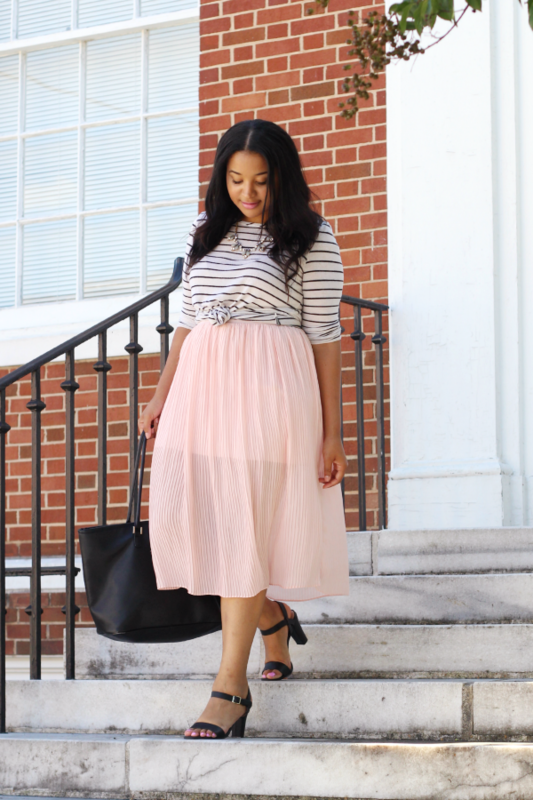 I love anything with stripes and that pink midi skirt is perfect! Especially with October being Breast Cancer Awareness Month! Gorgeous look girl! Love how feminine this look is! 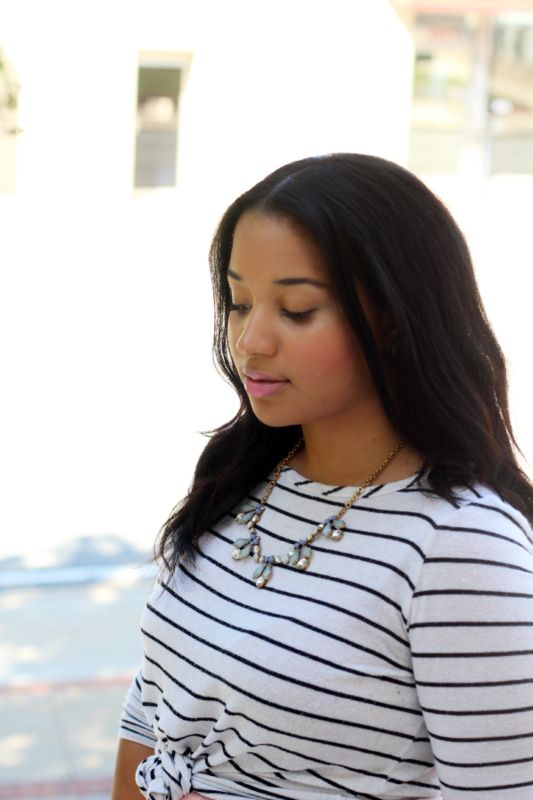 I am all about stripes. How gorgeous are you?! Love that skirt and how you paired with the knotted tee! So so pretty! Such a fun pink skirt! And loving how you styled it! ah I am so happy its october! love this daring skirt! the blush pink color is perfection! great outfit! UM THIS SKIRT IS AMAZING!! 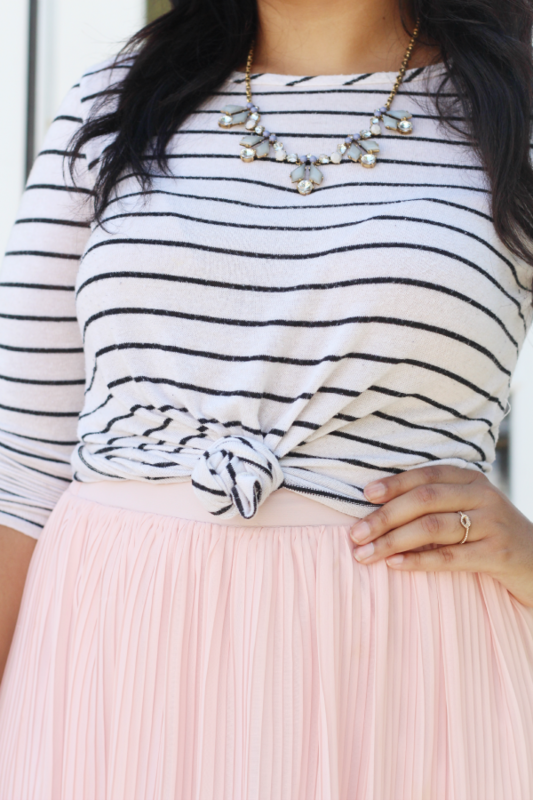 I love the delicate pink color paired with the stripes! I love your blog more and more each time I visit. I love your pink skirt it looks fabulous on you. I love pink so I obviously I love that skirt! It is pretty and feminine. You look beautiful in these pictures! I hope you had a great weekend!